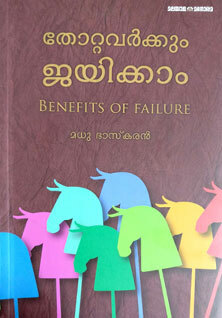 1.Thottavarkkum Jaikkam (Benefits of Failure) - a Malayalam book written by Madhu Bhaskaran, published by Malayala Manorama a leading media group in Kerala. The book is available in Malayala Manorama offices and Manorama book stalls. 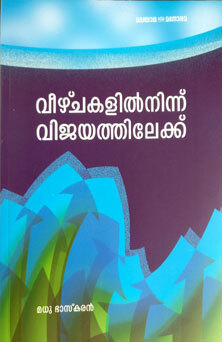 2.Veezhchakalilninnu Vijayathilekku (From Setbacks to Success) - a Malayalam book written by Madhu Bhaskaran, published by Malayala Manorama, a leading media group in Kerala. These books explain the Principles Of Success in and of human life. It is the milestone of motivational writings in Malayalam. He uses very simple language making it highly comprehensive and readable. Day to day incidents incorporated and interpreted with great success principles. The self-made and very successful trainer Madhu Bhaskaran gives concrete examples for the success principles from his own life experiences. If you start reading, it is difficult to stop without finishing the books. This book explains the decision-making process and cognitive errors (thinking errors) in decision making. This book deals with the practical solutions to overcome the thinking errors. 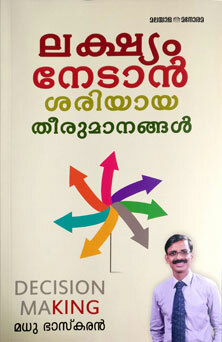 This is the first book in Malayalam on the subject of cognitive errors.